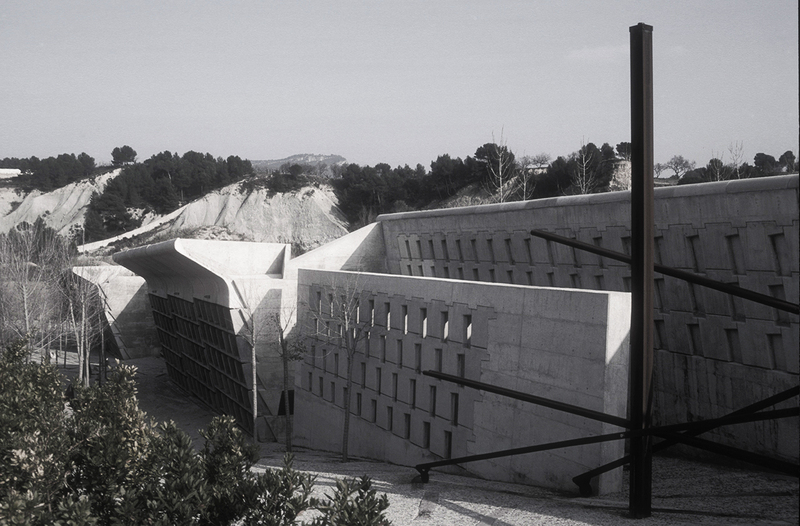 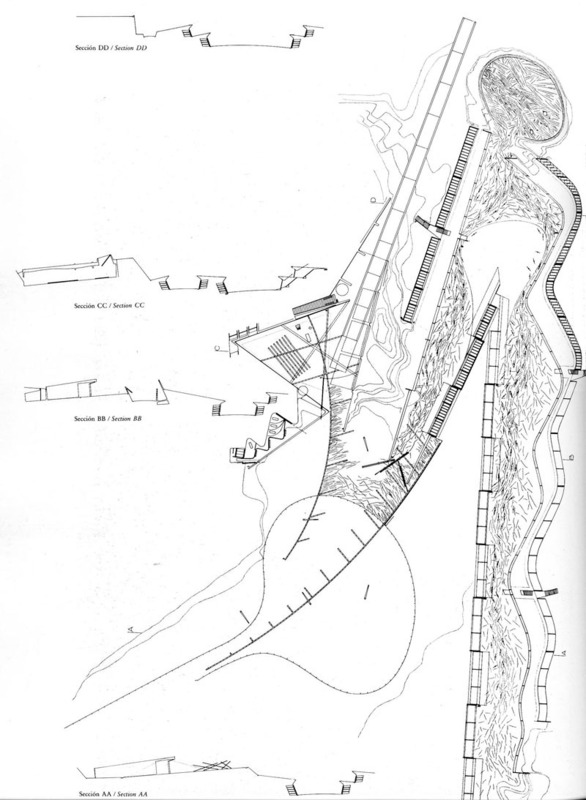 AE Interests: Built in an industrial area where most of the land had been dug out for quarries, Miralles tucked the tiered layout into the stone hills. 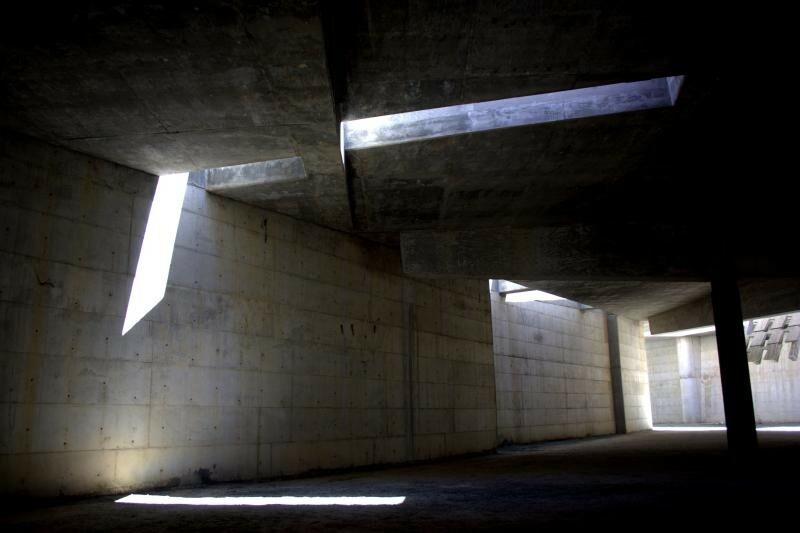 The cemetery was built of reinforced concrete to reflect the industrial surroundings. 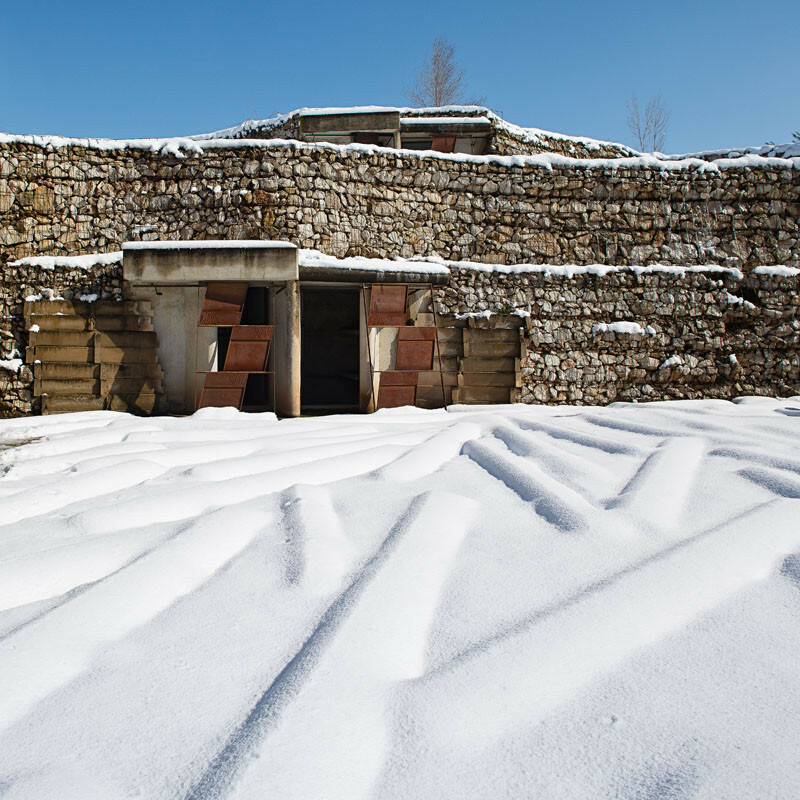 There are many examples where the reinforcements are exposed, creating bold, rusting lines repeating throughout the form. 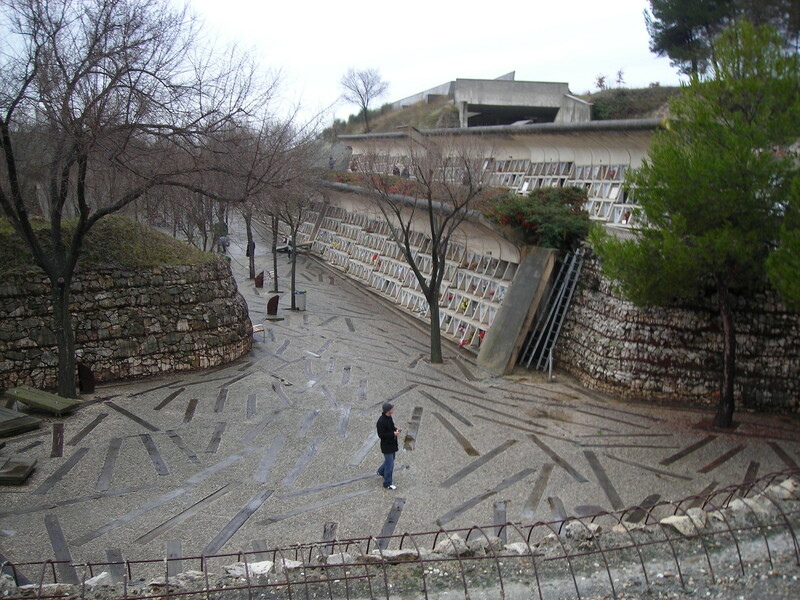 The cemetery also houses a chapel and monastery that have yet to be completed.